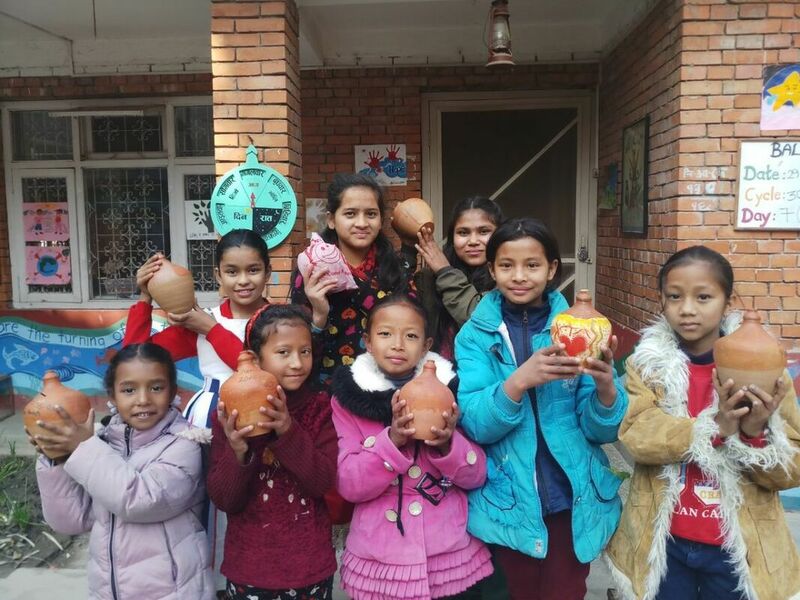 Money is hard to come by for our families in Nepal. Most HIO-sponsored girls live in households led by single, illiterate mothers. Many of these women work at back-breaking, menial jobs hauling bricks and sand at construction sites or working as domestics. Often, our mothers earn no more than a few dollars for a 10-hour day of work. 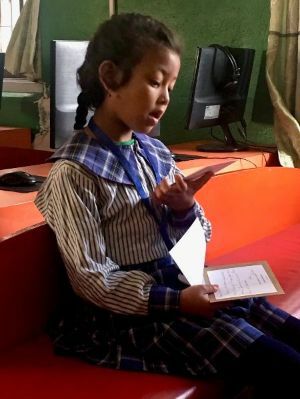 Shifting our girls’ understanding of how financial systems operate could help break the endless cycle of poverty they live in. HIO Girls Love Receiving Your Letters! In early March, Laura Hunt and Ricky will travel to Nepal to make home and school visits. Mail delivery is near impossible in Kathmandu, so we encourage direct hand delivery whenever an HIO friend is traveling to Nepal. We have lots of room in our bags for your letters. The educational programming made possible by your generous support is allowing 165 girls and 50 of their mothers to have access to education, along with medical care and a measure of food security. Your support is helping train dedicated teachers into superb educators who'll benefit not only our HIO girls, but hundreds of their classmates in our partner schools as well. 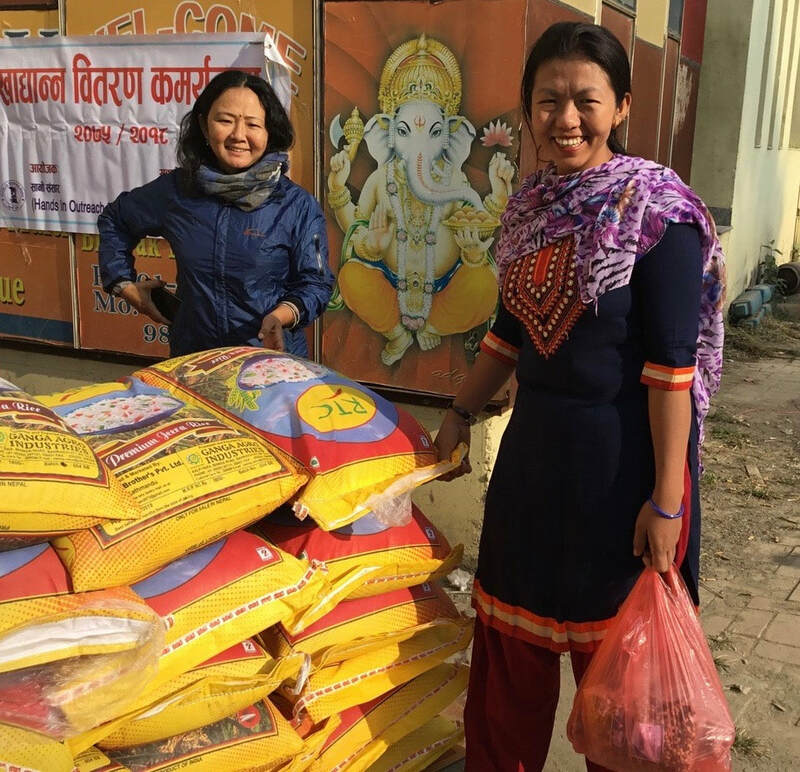 During the week of October 8th, for the Nepali Dassain Holiday festival, HIO staff successfully carried out a major food distribution effort in five locations around the Kathmandu Valley. Over a three-day period, the HIO team provided food for 177 families. The generosity of HIO sponsors currently supports the education of about 160 girls from age 4 to 25, from kindergarten through college. Several girls are now in graduate school studying medicine, dentistry, business and law. ​We're happy to report that this spring you made it possible for 18 new girls to go to school under the HIO umbrella, bringing our total to 150 sponsored girls. It’s wonderful that you've done so much toward providing a group of very poor girls with the gift of education. We’re ever grateful for your kind support.